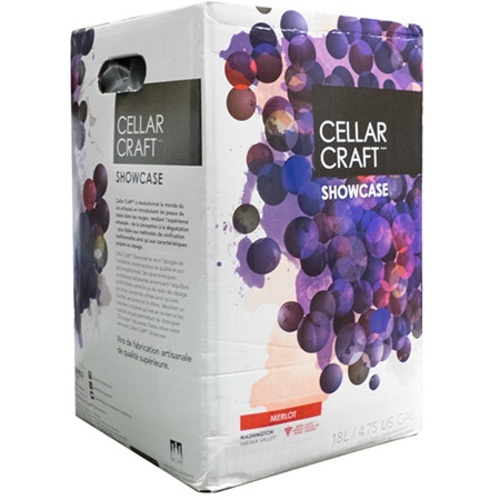 Like other wine kits on the market, Cellar Craft's Showcase Series red wine kits come with all the ingredients you'll need to make a great wine out of the box. However, we encourage you to also experiment with different yeast strains and oak styles to create a wine that is exactly what you're looking for and truly unique. I have liked Cellar Craft Viognier from WA state so I thought I would try the merlot. I like a good Merlot and I read the reviews and all said it was a good wine. Made this Merlot 17 times, absolutely fantastic. This kit was amazing, great product and excellent instructions. Has exceptional taste already, can’t wait to see how it ages in a couple years. You can’t go wrong with cellar craft kits. I love how they actually put real skins in the kits. It enhances the wine so much more. Cellar Craft is an excellent wine kit, not only does it have body but it has much color and is heavy. On some kits the only thing I would say is the alcohol its to high in alcohol and this is the only thing I can say negatively about Cellar Craft, other than that it is a very good wine if one does not mind alcohol at about 14.7 to 16 % depending on the kit. Very nice wine! Make sure you age it at least a year. I've made several Cellar Kraft wines and they've all been great. Don't be impatient. I loved this kit. Once it aged in the bottle for 2 years, the flavor was deep and intense. Maybe the best kit I have ever made. I've been making wine kits for 7-8 years now. After 1 year in the bottle it was nothing special, but once it hit 2 years, BAM. I'm starting several more kits of this now for the future. I hope it is still as good.